The Ultimate Fighting Championship has come one step closer to being able to fight their way into New York. On Tuesday, the Federal District Court found that their challenge to the constitutionality of New York’s ban on mixed martial arts can move forward. The court recognized that the State Athletic Commission and the Attorney General have repeatedly changed position on whether amateur and professional MMA can occur lawfully in the state, which plaintiffs argue renders the ban unconstitutionally vague. 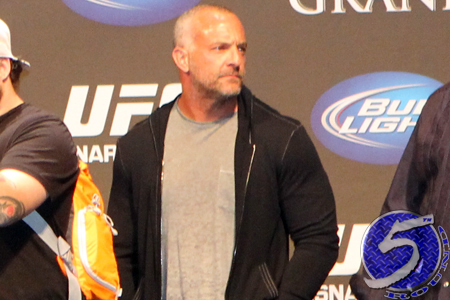 In 2011, the UFC and a group of plaintiffs including fighters (UFC light heavyweight king Jon Jones, Frankie Edgar, Brian Stann and Matt Hamill), fans, trainers and others involved with MMA filed a lawsuit in U.S. District Court against New York State officials challenging the constitutionality of the state law banning live professional MMA events and associated activities. The suit challenges the ban for violating numerous provisions of the United States Constitution, including the First Amendment, the Equal Protection Clause and the Due Process Clause. The lawsuit specifically claims the ban infringes upon the rights of the fighters who want to publicly exhibit their skills as professionals and express themselves before a live audience, the rights of fans who would like to experience live professional MMA events, and the rights of those who train, publicize or otherwise advance MMA in New York. Of the 48 states with athletic commissions, New York is the only one that has banned the sport. New York passed a law prohibiting MMA events in 1997 identifying it as a “combative sport” unlike boxing, wrestling or karate, which are legal. The UFC produces over 30 live events a year, broadcast in 882 million homes in more than 145 countries, with an adopted set of rules and regulations to ensure the safety of the sport. Should the case not be resolved at the District Court level, plaintiffs intend to appeal the First Amendment ruling.